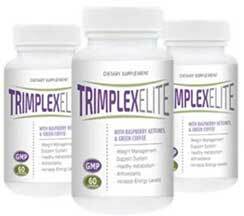 Trimplex Elite is a diet pill powered by raspberry ketone and green coffee bean extract. Both ingredients are good, but there is a general lack of information about this product and company that brought it to market. Worse still, many past customers claim they got caught up in an autoship scam after they accepted the offer of a “free” trial bottle of pills. It seems word about this product may have got around because the English and French language versions of the site appear to have been taken down. What Is Trimplex Elite and How Does It Work? Trimplex Elite is designed to provide appetite suppression, speed the metabolism, and encourage the body to begin burning fat. When the appetite is suppressed it becomes easier to consume less food. When the metabolism is increased the body burns extra calories. The combination of these two features can result in a calorie deficit that forces the body to start burning fat to fuel the biological functions that would normally be powered by calories obtained from food. Trimplex Elite users are also promised an energy boost. Raspberry ketone and green coffee bean are unlikely to provide this, so this indicates the presence of other ingredients. A full ingredient profile is not provided but the formulation contains unspecified mounts of raspberry ketone and green coffee bean extract. 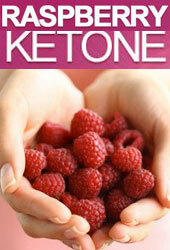 Raspberry Ketone: A phenol that can be obtained from several sources but is normally obtained from raspberries. It’s a proven fat burner, and has a good reputation as an appetite suppressant, but it is an expensive ingredient to refine and many manufacturers opt to use a cheaper, synthetic, version instead. It lacks the power of the genuine fruit extract. It is unclear which version is used here but, even if it is the fruit extract, the lack of an inclusion rate makes it impossible to ascertain if enough has been included. Green Coffee Bean Extract: Extracts taken from green coffee beans contain a compound called chlorogenic acid. It’s a powerful metabolism booster and fat burner that has already won the confidence of many people worldwide, including the American health and fitness guru, Dr Oz, but it will only offer benefits if enough is included so, once again, the lack of inclusion rates is an issue. Usage Guidelines – One capsule is required before breakfast and a second one before dinner. 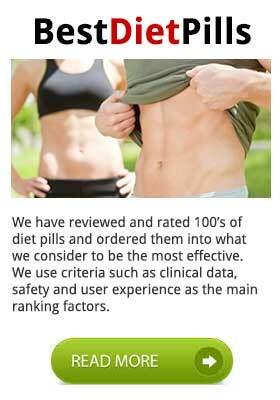 Customers who reach their ideal weight are encouraged to keep taking the pills so they can “retain and transform” their new slim figure. When we visited the official website (trimplexelite.com) for the purposes of this review the site was no longer active. Nor was the French version of the site. The product still appears to be available via Amazon.fr, but it’s packaged with a companion product and anyone who wishes to make a purchase is looking at a price tag of €100 (USD$ 112). Some customers say the pills work. Others say they opposite and there are lot of complains from people who feel they were scammed. Raspberry ketones and green coffee bean extract have a good reputation for providing safe weight loss, but the manufacturer of this product fails to provide a full ingredient profile. That means there is no way to ascertain if the pills contain other ingredients as well. All potential users are advised to seek a doctor’s approval prior to using this product. If enough (genuine) raspberry ketone and green coffee bean extract are included in the formulation, it’s possible that Trimplex Elite may help accelerate weight loss, but there are too many unknown factors with this product (including the ingredient inclusion rates). However, this is a mute point because, unless you live in France and are willing to buy Trimplex Elite from Amazon, you will be unable to get hold of the product in the first place. 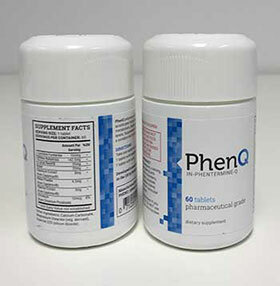 We recommend PhenQ without hesitation – fats working, multi action diet pills that has many positive reviews. PhenQ is available in virtually every country, can be delivered with a shipping charge and it has a 60 day money back guarantee.